Five days of conversation about design, music, art, architecture, and urbanism. I recently spent the better part of five days sitting on a cinderblock in the courtyard of Museo Experimental el Eco, listening to various creative people, mostly from Mexico, talk about their work. I am not entirely certain why I did this, but I am glad that I did. The event, Postopolis, is described as “a public five-day session of near-continuous conversation curated by some of the world’s most prominent bloggers from the fields of architecture, art, urbanism, landscape, music and design.” I applaud the premise: to celebrate and take stock of the extent to which sophisticated discourse and debate about design and urban culture (and the creative forces which influence them) have migrated to online formats. And I appreciate the method: to instigate “a Ponzi scheme of ideas,” in which the organizer (Storefront for Art & Architecture) invites a set of bloggers to descend upon a particular city, each of whom then invites a set of individuals from that city to discuss their work in front of a live audience. But I am not clear on the outcome. Certainly, as an audience member, I am today more informed of about the dizzying amount of creativity and innovation at the heart of Mexico City’s cultural life than I was pre-Postopolis. But I am at a loss as to how exactly the wealth of information and ideas I witnessed might be put to work. What comes next? Of course, the event was more esoteric snapshot than representative sample. But even then, if the point is to spotlight the fact that serious dialogue about cities now takes place on the internet and to apply that serious dialogue to a real time and place, then shouldn’t that attention and dialogue lead to some kind of action about how best to understand, represent or intervene in urban life? What attracted me to Postopolis was the opportunity to experience the improvised and extemporaneous formation of a collective portrait of the creative energies defining a city at a particular moment. I did not participate in the first two incarnations of Postopolis — in New York in 2007 and in Los Angeles in 2009 — but I am told that what emerged were studies in contrast. How could a sophisticated portrait of a city be anything else? As I said in my own introductory speech on the first day, the complex challenges of urban portraiture define my own work as a documentary filmmaker and as the editor of Urban Omnibus. In both roles I rely on the evocative power of juxtaposing diverse fragments to tell stories that resist the tendency to reduce urban complexity into facile essences or prescriptions, with the goal of telling stories that amount to more than the sum of their parts. But portraiture requires a kind of coherence that the frame alone — in this case the conceptual frame of Postopolis and the physical frame of the Museo Experimental el Eco — struggled to provide. Instead of coherence, we got a diffuse and diverse sense of Mexico City, composed of disparities. The unlikely juxtaposition of the opening presentations — Fernando Romero shared 100 hundred slides of his slick architecture and Ali Gadorki discussed the messy fusion of punk, cumbia and queer identity politics — telegraphed beautifully the primary lesson of Postopolis: that portraying Mexico City (or any city) requires engaging the stark contrasts within its creative community. Romero was invited by Sam Jacob, an architect based in London. Gadorki was invited by Daniel Hernandez, a Mexican-American journalist from L.A. who has spent the past few years infiltrating and documenting Mexico City’s various subcultures. Over the course of the following days, the audience was treated a similarly dizzying diversity of voices. To name just a few: we heard from Raúl Cardenas, one of the forces behind the excellent Tijuana-based research and design collective torolab. We heard from Julio Cou Cámara, a scuba diver charged with maintaining Mexico City’s sewer system. We heard from Captain Remigio Cruz, who directs the efforts of the Mexican military’s museum of narcotics to educate soldiers on the army’s “successes” in its war on drugs. At root, Postopolis asserts that some sort of affinity or relationship exists between curatorial practice and blogging practice — between the institutions that select and present creative work and the individuals who offer commentary on whatever interests them — but the nature of this relationship remains unnamed. To be sure, it is still in formation; and Postopolis offers a good first step toward identifying how these two practices might inform each other. Bloggers are often considered diarists, but I prefer to think of them as foragers: most blog posts take something that already exists — from the internet, popular culture or lived experience — as a point of departure for reflection that combines elements of essay, anecdote, news, analysis and speculation. That’s why bloggers make good portraitists, even if they don’t see themselves as such. The vantage of the scavenger/storyteller speaks well of her ability to inform a collective image of a city. As someone who directs an editorial website that has dozens of authors and advisors, is based at an established institution (the Architectural League of New York) and sticks to a weekly publication schedule, I felt slightly disingenuous masquerading as a blogger. Nonetheless, inasmuch as Urban Omnibus is an interdisciplinary index of innovative ideas conceived to make New York City smarter, greener and fairer, it also functions as a kind of ad-hoc portrait of the creative energies currently shaping urbanism. 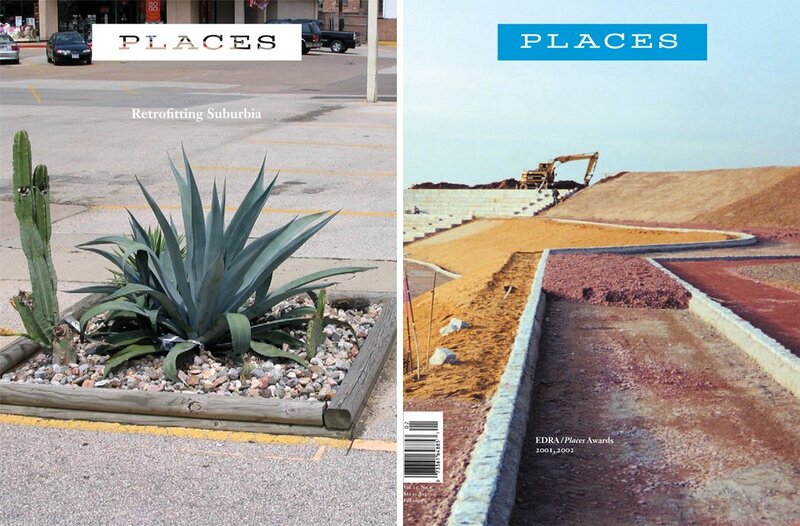 Terrazas was a young man when he got the massive job, in 1966, to use the tools of design — the job included everything from a logotype for the Games to an urban-scale communications and wayfinding system, from public transportation logistics to public art projects — to present Mexico’s varied and singular culture to the world. He explained how he found inspiration for the graphic identity in the Sierra Madre Huichol Indians’ use of parallel, curvilinear lines; how he carefully evaluated the balance between Mexico’s past and its future; how he found an ideographic system that was both distinctly Mexican and universally legible; and how the legacy of the work is forever intertwined with the tragedy of the Tlatelolco massacre, ten days before the opening ceremonies of the Olympics. Clearly, a great deal fed into that project, and great deal came out of it. But Terrazas did not confine his presentation to work from the late 1960s. He went on to describe several art exhibitions he organized about the material culture of Mexico City. He showed some of his paintings. He shared his proposal for jurisidictional reform that would expand the city’s current and outdated political limits — the borders of the Distrito Federal — to encompass its larger metropolitan region. And he showed one of his current architectural projects. He left out international highlights of a career that includes urban design and planning in Tanzania, Pakistan and India; teaching in Berkeley and New York; and art exhibitions in Paris, St. Petersburg, Caracas and Santiago. But he managed to detail a career trajectory that at every point critiqued, challenged and expanded the role of the architect. The two other architects that I invited to Postopolis, Derek Dellekamp and Jose Castillo, also presented work outside the traditional understanding of what architects do. In Dellekamp’s case, this meant discussing social housing in Oaxaca and a pilgrimage route in Jalisco. In Castillo’s case, this meant discussing the architect as public intellectual. The expanding role of the architect — as analyst, as storyteller, as urbanist — is certainly a theme I wanted to pursue at Postopolis (and why I invited Dellekamp, Castillo and Terrazas). To be honest, when I arrived in Mexico City, I was not thinking about the role of the architect as urban portraitist. Yet now that I am back in New York and again engaged in identifying and sharing good ideas for the future of New York’s built environment through Urban Omnibus, I suspect that the long-ago case study of Mexico ’68 and the recent experience of Postopolis each offer, in different ways, lessons for how to communicate what’s going on in a particular city. Once we have grappled with what those lessons might be, then we can start the messy process of how to use that kind of communication — that kind of portrait — to the greater urban good. Geography is getting stranger: the map is breaking up. Now we need to attend to the unnatural places, the escape zones and gap spaces, sites of bewilderment and unease. From Mumbai to Bogota, DIY design to Rem Koolhaas, the new documentary Urbanized is as kaleidoscopic as its subject. Cassim Shepard is the founding director of Urban Omnibus, an online publication of The Architectural League of New York.